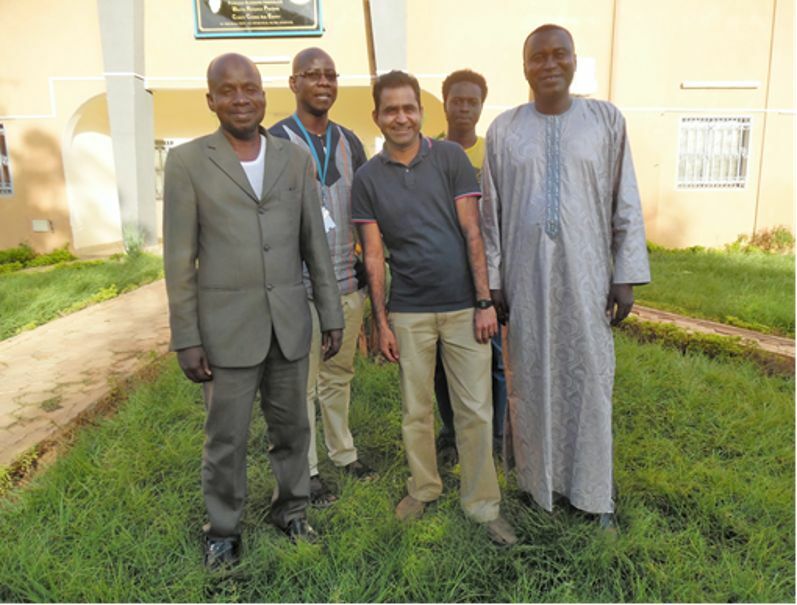 The visit was planned in accordance with the project aims of research exchange to the partner university in Niger. The main purpose of this visit was to know the local environment to improve the adapted work methodology taking into account the local limitations of data accessibility and related issues. Further, to make discussions with local RARSUS staff members for their interactive contribution in the project tasks to achieve the project goal. 1st row: Prof. Adamou Rabani (left, in Niger traditional dress), Dr. Nouhou Ali (right), Khalid Mehmood (center). The country has potential resources and opportunities for development and people are friendly and cooperative, they need guidance and technological assistance. I left the country with good wills for the people and looking forward to see them again.